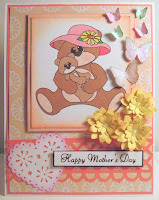 I created this card using the new Mom and Baby Bear Digi from PCW. I also used the flower from a file set coming soon to PCW. The heart, lattice border and butterflies are all punches from Martha Stewart. Great projects ladies. The bears and giraffe are so cute. 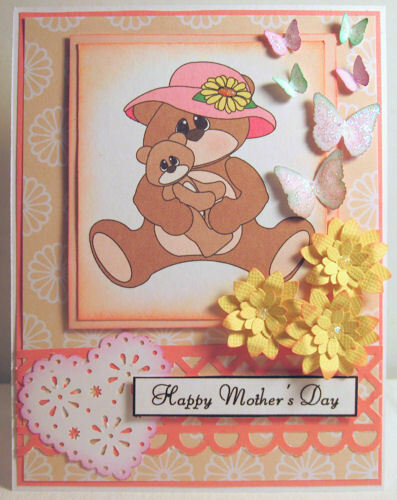 Wonderful projects for Mother's Day.